Last week in Frankfurt I had the pleasure of meeting some of the best student entrepreneurs from around the world. I’ve been involved with the GSEA (gsea.org) for the last four years and every time I meet these #studentpreneurs I am blown away by their passion and enthusiasm to make the world a better place. We had 55 finalists representing their countries from all corners of the earth. Each student was given a mentor before the final competition to help them with their pitch and their business and we had a lot of learning and experiential sharing session with seasoned entrepreneurs from around the world helping these young entrepreneurs with their cashflow planning; business strategy; marketing plans; execution; people hiring and more. To get a flavour of the competition, have a watch of the final five competitors (and some amazing speakers who agreed to do a TedX style 5 minute presentation for the group) please watch the saved video of the live stream below. Part two of the 2017 EO GSEA Global Finals! Watch our final two students compete for this year's championship spot! 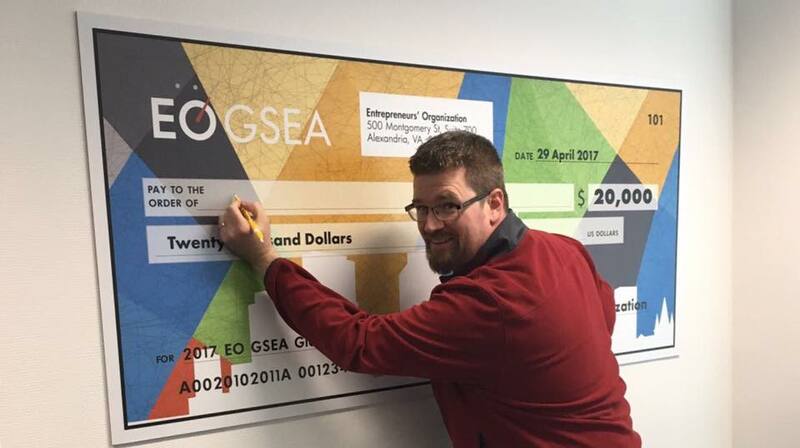 These events take an fantastic team to put together with a full on Swan Effect in operation (graceful and poised on the top but paddling like mad under the water…) and as usual the team at GSEA and GLC did an amazing job of putting on a spectacular show and learning event for the student entrepreneurs. If you’d like to get involved with GSEA in the future, either as a #studentpreneur or in another capacity, please get in touch with me.